Basecamp is a project management and team communication software that is suitable for businesses of any size. 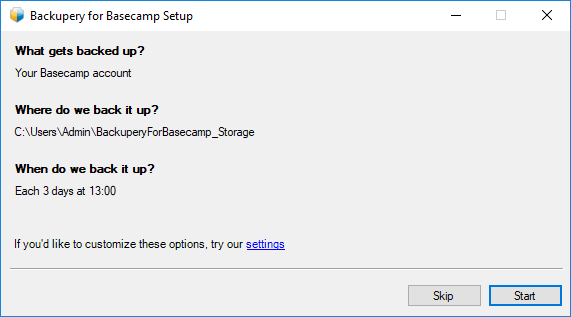 In this post we are going to show how to setup automatic backup process for Basecamp using Backupery for Basecamp tool. More details on why it might be important to have a backup process for cloud services you can find here. 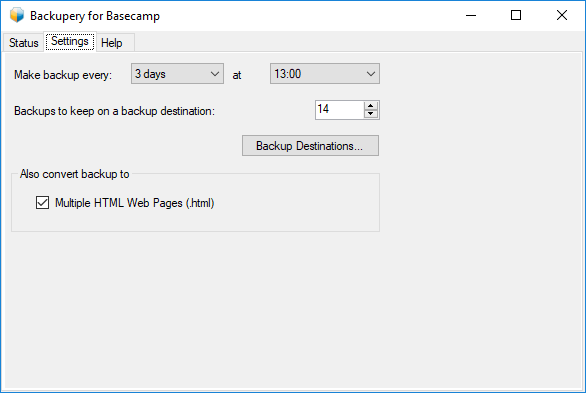 Backupery for Basecamp is specially designed to make backup process as easy is possible. Here is how. Download and install the application: https://www.backupery.com/products/backupery-for-basecamp/ . 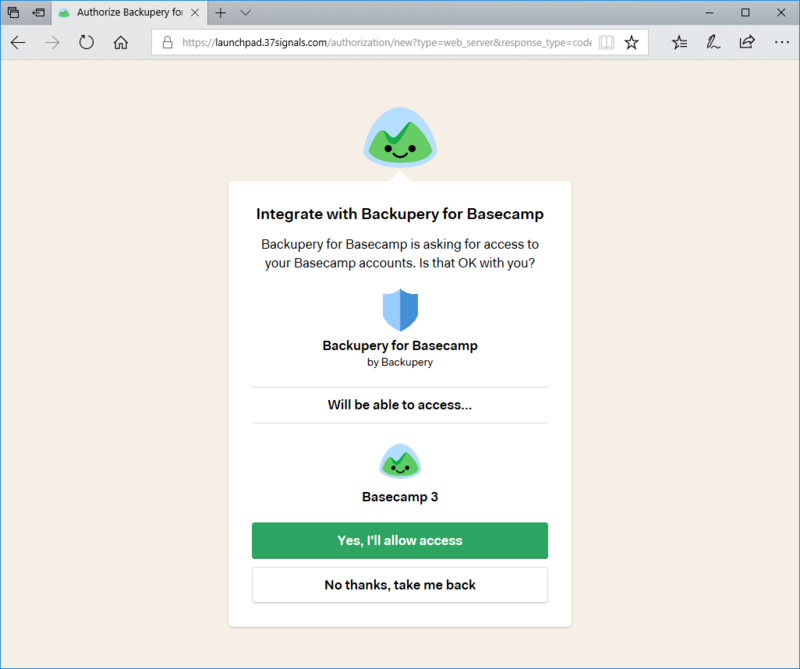 Please note, Backupery for Basecamp connects directly to Basecamp service so you don’t need any Basecamp client installed on your computer. 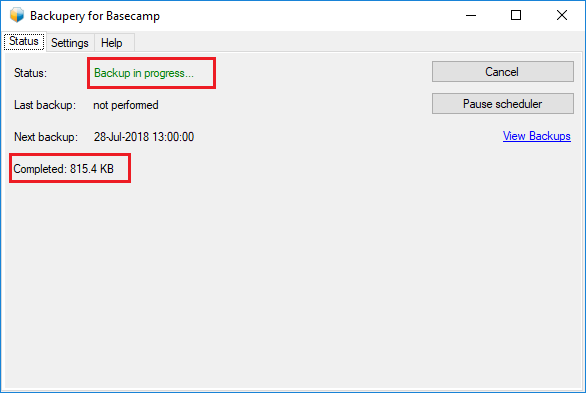 Press “Run backup wizard” to simplify the process (you can always change the settings later). After you press “Start” the application will ask you to grant permissions to access your Basecamp data. Please note, you don’t need to be an account owner to download the data you are related to. Press “Yes, I’ll allow access” so the app can start download the data. Backupery for Basecamp replicates your Basecamp structure on a backup destination, so you can easy browse your data and search for the necessary information.